Tips: Blast enemy rockets out of the air with your own! A Simple target range. I had bigger plans but with only 4 days this is what I could get finished. There's a Video sample of the game at the link along with the game. Files are currently uploading. Sorry but my upload speed is terrible. Last edited by Demolition Man; 07-26-2015, 09:57 PM. 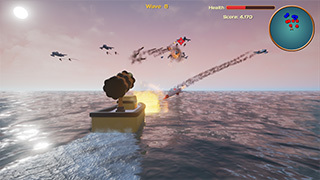 Description: A turn based local multiplayer rocket deathmatch with destructible meshes. Last edited by tkoram20; 07-27-2015, 07:00 PM. Half Ball, Half Rocket... Bocket! The goal is to complete the level in the fastest possible time, collecting all the checkpoints along the way. You as a Bocket must complete the course travelling through these checkpoints that require you to be in your ball form or your rocket form. There are a few (unmarked) zones where you are forced to stay in a certain form. own game, competing with our friends to beat their time. better and a more unique finished product. Splines are now my favorite part of UE4 they are amazing. Hope you all enjoy the game as much as we enjoyed creating it. Last edited by Jbarty; 07-27-2015, 07:38 AM. Description: Spin to Win is an endless flying game where you avoid obstacles. Spin to accumulate points and don't crash! Use the left and right mouse buttons to rotate. Use the cursor to move your mouse around the screen. Buttons 1 through 4 on the main menu are used to adjust the quality settings. In easy mode you don't have to spin but you don't get points. Left and right arrow keys or A and D keys can substitute for left and right mouse button, but a mouse is highly recommended. *Edit* My first ever packaged game! Last edited by sigi0073; 07-26-2015, 11:46 PM. Description: Fight 1v1 against a friend and murder them with your giant rocket bomb! Roll your rocket into the back of your opponent to win! So this game can control a bit funky. Player 2 controls with the arrow keys or the face buttons on the gamepad.. So you can play the same controller if you want to feel awkward! Hey Alexander Paschall, I tried to PM you but your private message box is filled up! You could just message me on this account I check it daily, thanks! Last edited by kvick; 07-26-2015, 11:11 PM. Wow, we're getting a "failed to open descriptor file" on every build we do of the game, trying to trouble-shoot why this is happening. Everything is done in blueprints, so we're not really sure how to solve this since code isn't involved. Last edited by ieverin_gh; 07-26-2015, 11:19 PM. EDIT: I accidentally had the file set to private. It can be downloaded now. Last edited by LlordDominik; 07-27-2015, 12:32 PM. Aim with the mouse. And shoot. Total tank mayhem! 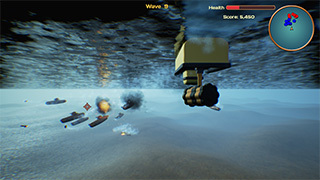 Survive as long as you can in this multiplayer battle royale. Target your missiles with the Right mouse button. Left mouse button to shoot the cannon. Shooting a player in the back is a one-hit kill. Drop some dynomite to leave a surprise for your enemies. This game is multi-player. I recommend at least 4 players. The game might require the host to open these ports. Last edited by Azarus; 07-27-2015, 12:40 AM. Hi, this is actually my first game, if I can say so Maybe my 4wins windows forms game AI had more logic, but yep. 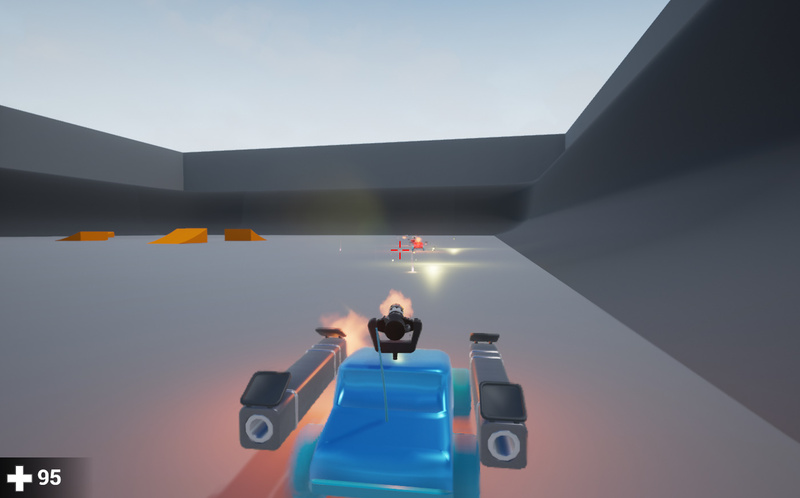 It is is a weird multiplayer motorcycle battle/figure dancing game, with little to no rules except not to stop and Steam is required for online play supported by the serverbrowser. Controls are visible ingame, controller usage heavily recommended. 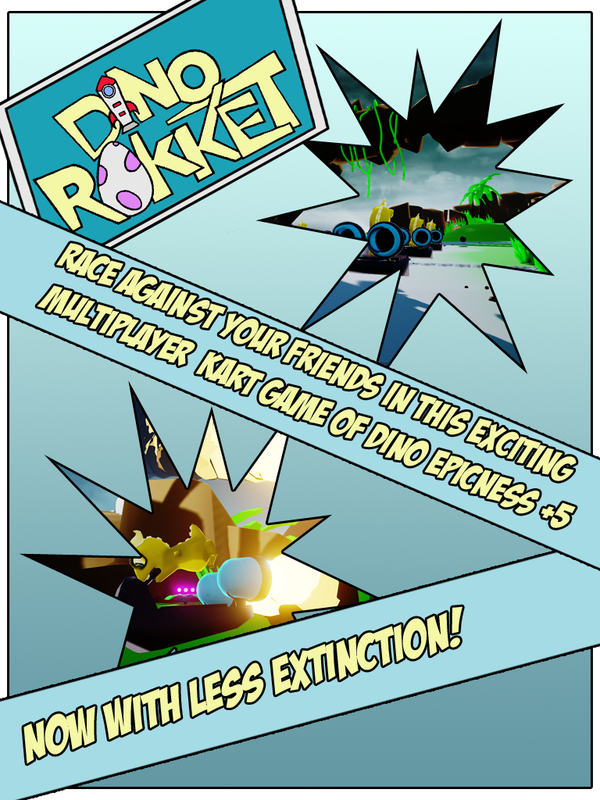 This is a multiplayer game run on steam, so you need steam open in order to join/host! Speed Boost = makes you faster than a pterodactyl on speed! Objective : Get first! Show those other Dinos who's the real Primordial Boss! Info: A vehicular combat area shooter. This is our first game . Last edited by skipyC; 07-28-2015, 08:08 AM.